What should you ask when interviewing a hygienist? 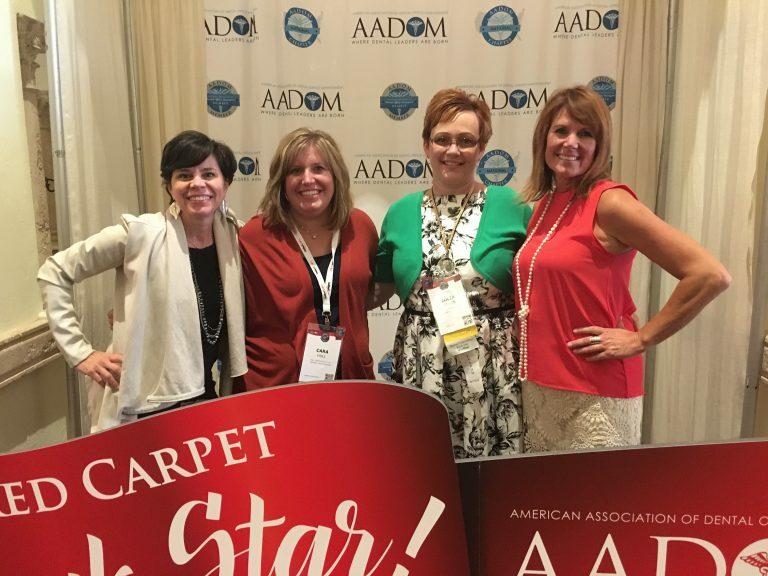 A couple weeks ago, I had the pleasure of speaking at the annual session of the American Association of Dental Office Managers-AADOM. This is the 4th year we’ve been an exhibitor at the conference and we love meeting so many dental professionals that are dedicated to running and growing healthy practices. It’s always fun to see Practice Managers from our IH client practices and celebrate them. Jamie and I had fun visiting with them. I had one manager ask me how she should interview hygienists and I was immediately reminded of an article I wrote in the past for this newsletter. I emailed the article to her and realized it may be helpful for you too. Scroll down to check out the list. I’m happy to share this with you and would love to hear some creative questions YOU ask potential team members. Besides the routine questions you might ask…full-time or part-time, compensation and so on, here are a few questions that will give a little more insight into how a hygienist might fit into your practice. Tell me what’s most important to you in a dental practice. What about in the team and doctor(s) you work with? How many CEU credits did you earn in the last 2 years? Are you willing to attend regular continuing education courses, including those that require travel with the team? What dental technology have you used in the past? In your past position, what did you do when there was an opening in the hygiene schedule? How involved have you been in the scheduling and administration of the hygiene department? Have you ever worked with a hygiene assistant? What are your feelings about production goals and how you will contribute to the success and growth of the practice? Tell me about your past involvement in patient education and enrollment of restorative dentistry and periodontal therapy. Share with me your experience treating periodontal disease. Tell me about the protocol you used to detect and treat perio. Have you ever been employed by a practice that worked with a dental consultant? Tell me about that experience. What is it about you and your hygiene experience that you feel makes you stand out from other applicants? Aside from traditional duties of a hygienist like performing prophies and perio therapy, what other duties do you consider your responsibility as a team member? *Always ask to do a working interview and to have the hygienist spend time with the team. Restorative enrollment during the dental hygiene hour is one of the most important aspects of the recare visit. Doctors rely on their Hygiene Team to identify potential restorative needs, help keep their schedule full and meet production goals. This quick video tip will outline 3 easy to follow steps to ensure consistent restorative dialogue at the hygiene chair. Please view these two short video testimonials (2-3 minutes) from clients who have experienced improved restorative outcomes as a result of their highly functioning hygiene departments and exceptional perio protocols. Watch my past videos with Dr. Karen Beck and Dr. Scott White. [Quick Video Tip] Why don’t your x-rays show the bone loss? 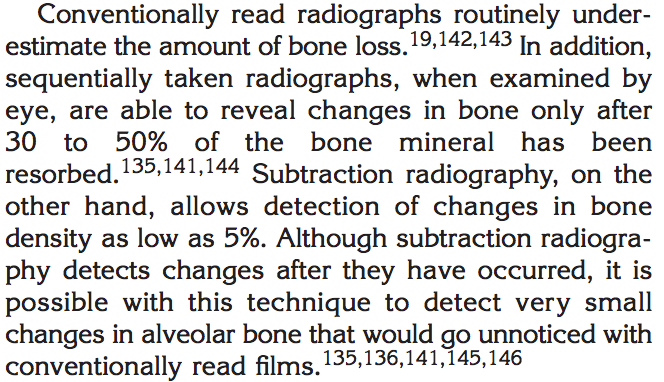 x-rays don’t reveal the bone loss you expected to see? This week’s super quick video tip (its about 30 seconds long) is from my presentation at the ADA conference last year. I share what the AAP says about what we see on x-rays and why they don’t always reveal the true extent of bone loss. Don’t you wish insurance providers knew this. Stay tuned and we’ll give you a tip for that too in an upcoming video. If you’ve been in dentistry at the chair for any length of time, you know the importance of practicing good ergonomics. And, if you are just beginning your career, well, there’s nothing like starting off on the right foot. Learn ergonomic strategies you can easily implement when you join us for this months’ Special Topic Mastermind Webinar, ‘Healthy Strategies to Avoid Workplace Tragedy’, with our special guest Cindy Purdy, BSDH, CEAS. 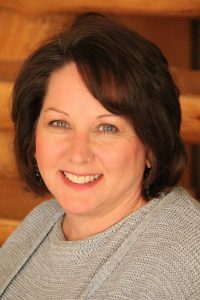 I know you won’t want to miss this informative webinar where Cindy shares her experience as a Certified Ergonomic Assessment Specialist. I’ll meet you on the webinar. Dismissing aches and pains in your neck, shoulders and back places your health and the clinical career you love in jeopardy! 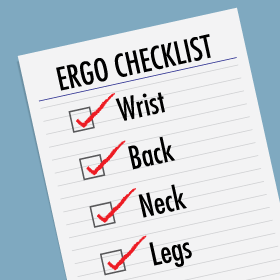 Focusing on solid ergonomic principles and strategies, on the other hand, will allow you to create an action plan that can help you modify your risk. This webinar will not only help you identify risk, it will help you take action steps to eliminate those risks. This call will be available in our Mastermind Library on Thursday, September 15. If you’re not already a member of our Mastermind group, click here to sign up. How many times have you and/or your team not implemented a new protocol or system based on your fear of patient rejection? You attend a great CE seminar and the whole team wants to start utilizing what you just learned and you are met with “failure to launch” based on your concern of what your patient’s reaction may be. This could be anything from implementing a new cancellation policy to performing blood pressure screenings. One of the biggest concerns our private coaching clients have is “how do we recommend perio therapy (something different) to our existing patients and not have them lose faith and trust in us?” Here are two common questions patients ask following your perio therapy recommendation along with a GOOD response you can come back with. 1. PT–How come you haven’t told me I had this disease before? 2. PT– Can’t I just start flossing and that will take care of the disease so I don’t have to have this therapy done? 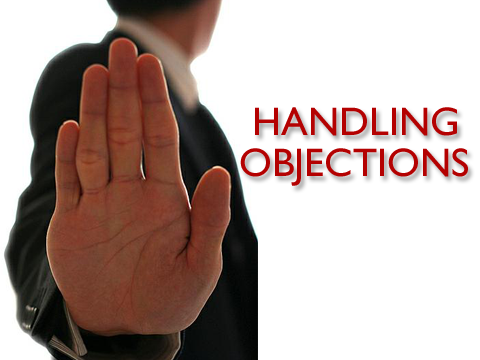 I hope these two common patient objections will help you. I know there are a million more that we could address. The main thing to remember is that our patients will never value our services more than we do.